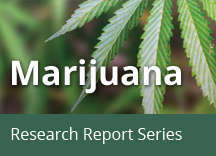 Home » Publications » Research Reports » Marijuana » What are marijuana's long-term effects on the brain? Substantial evidence from animal research and a growing number of studies in humans indicate that marijuana exposure during development can cause long-term or possibly permanent adverse changes in the brain. Rats exposed to THC before birth, soon after birth, or during adolescence show notable problems with specific learning and memory tasks later in life.32–34 Cognitive impairments in adult rats exposed to THC during adolescence are associated with structural and functional changes in the hippocampus.35–37 Studies in rats also show that adolescent exposure to THC is associated with an altered reward system, increasing the likelihood that an animal will self-administer other drugs (e.g., heroin) when given an opportunity (see "Is marijuana a gateway drug?"). However, recent results from two prospective longitudinal twin studies did not support a causal relationship between marijuana use and IQ loss. 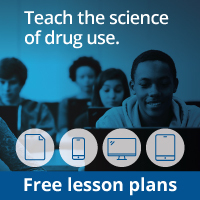 Those who used marijuana did show a significant decline in verbal ability (equivalent to 4 IQ points) and in general knowledge between the preteen years (ages 9 to 12, before use) and late adolescence/early adulthood (ages 17 to 20). However, at the start of the study, those who would use in the future already had lower scores on these measures than those who would not use in the future, and no predictable difference was found between twins when one used marijuana and one did not. This suggests that observed IQ declines, at least across adolescence, may be caused by shared familial factors (e.g., genetics, family environment), not by marijuana use itself.45 It should be noted, though, that these studies were shorter in duration than the New Zealand study and did not explore the impact of the dose of marijuana (i.e., heavy use) or the development of a cannabis use disorder; this may have masked a dose- or diagnosis-dependent effect. The ability to draw definitive conclusions about marijuana’s long-term impact on the human brain from past studies is often limited by the fact that study participants use multiple substances, and there is often limited data about the participants’ health or mental functioning prior to the study. Over the next decade, the National Institutes of Health is funding the Adolescent Brain Cognitive Development (ABCD) study—a major longitudinal study that will track a large sample of young Americans from late childhood (before first use of drugs) to early adulthood. The study will use neuroimaging and other advanced tools to clarify precisely how and to what extent marijuana and other substances, alone and in combination, affect adolescent brain development. Distribution of cannabinoid receptors in the rat brain. Brain image reveals high levels (shown in orange and yellow) of cannabinoid receptors in many areas, including the cortex, hippocampus, cerebellum, and nucleus accumbens (ventral striatum). Memory impairment from marijuana use occurs because THC alters how the hippocampus, a brain area responsible for memory formation, processes information. Most of the evidence supporting this assertion comes from animal studies. For example, rats exposed to THC in utero, soon after birth, or during adolescence, show notable problems with specific learning/memory tasks later in life. Moreover, cognitive impairment in adult rats is associated with structural and functional changes in the hippocampus from THC exposure during adolescence. As people age, they lose neurons in the hippocampus, which decreases their ability to learn new information. Chronic THC exposure may hasten age-related loss of hippocampal neurons. In one study, rats exposed to THC every day for 8 months (approximately 30 percent of their lifespan) showed a level of nerve cell loss at 11 to 12 months of age that equaled that of unexposed animals twice their age.